Longtime readers of The Ginger Diaries will know that I have a thing for Teva. As well-known as they are for their comfort, as infamous they are for their looks. For many Teva Original Universal sandals are a horrid childhood fashion disaster they were forced to live through by their parents. And they still seem to blame them. When Teva launched their Original Summer campaign in honor of the Original sandal last year I was utterly excited to be a part of the Belgian league of Teva musketeers. I wore my grey pair with pride, no matter the commentary. 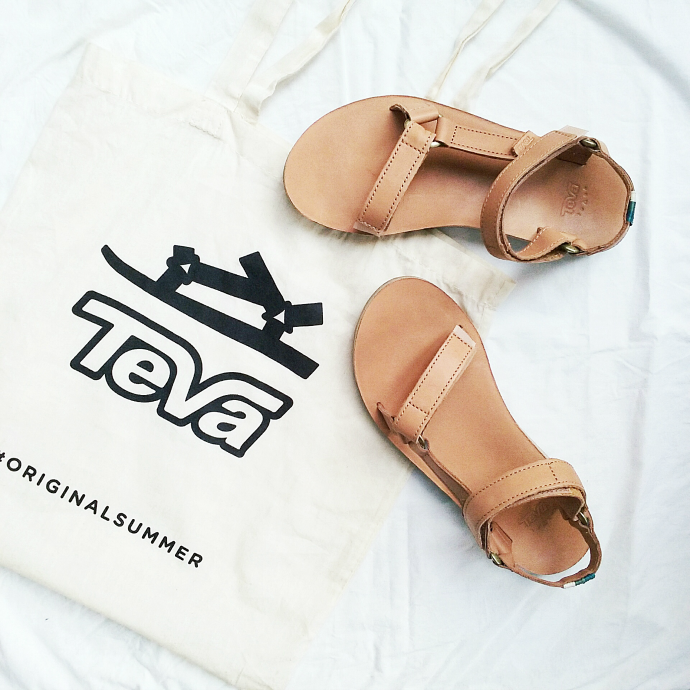 During the SS’16 press presentations in November, I was introduced to the new Original Universal line for this summer and fell truly madly deeply in love with this tan version of the Teva classic. I had to have it, no question about it and that’s how the cookie crumbled. They were one of the first things I bought with my first grown-up paycheck and I have no regrets. 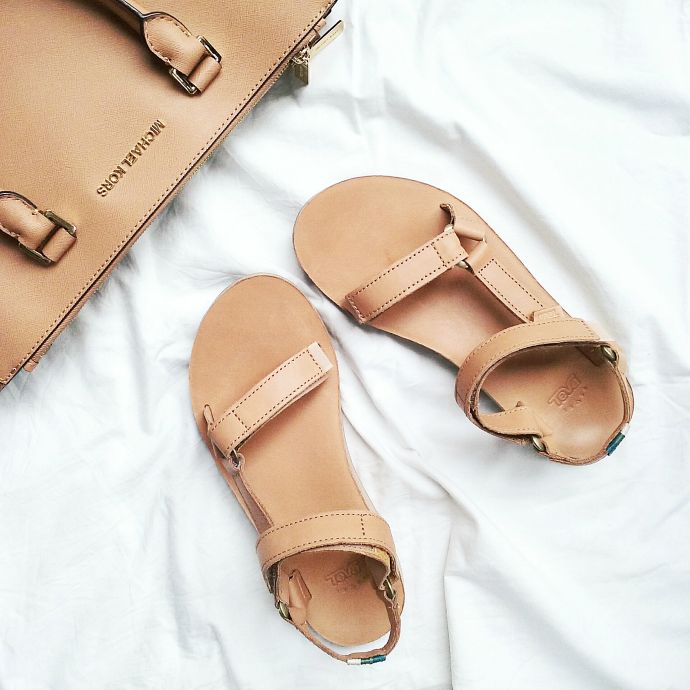 I’ve had the Original sandal in both polyester and premium leather before, and these fall somewhere in-between. They are more durable than the polyester ones with the soft rubber soles, but slightly less supportive than the premium ones. Their retail price also falls between the two with an advised price of €69.95. The color is identical to my Michael Kors ‘Sutton’ handbag, which is a big bonus in my silly opinion. 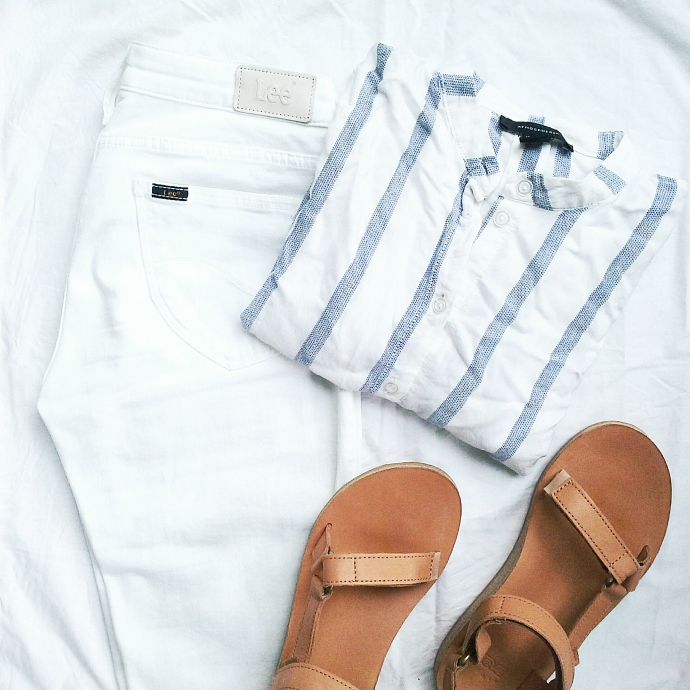 Furthermore the tan color looks lovely with any summer wardrobe. If only summer would roll around, so I could actually start wearing my sandals and share my planned outfits on the blog! 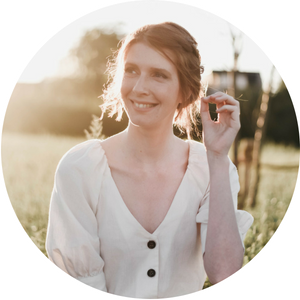 Yay, je nieuwe blog ziet er zo mooi uit 😀 love it! En Teva sandalen heb ik nog nooit geprobeerd. De jouwe zijn wel mooi!